It is said that 9/10 women in Britain are affected by stretchmarks, whether it be from growing, pregnancy or weight loss/gain. They can really affect confidence, especially when it comes to the summer months when we all like to have a bit more flesh on show. 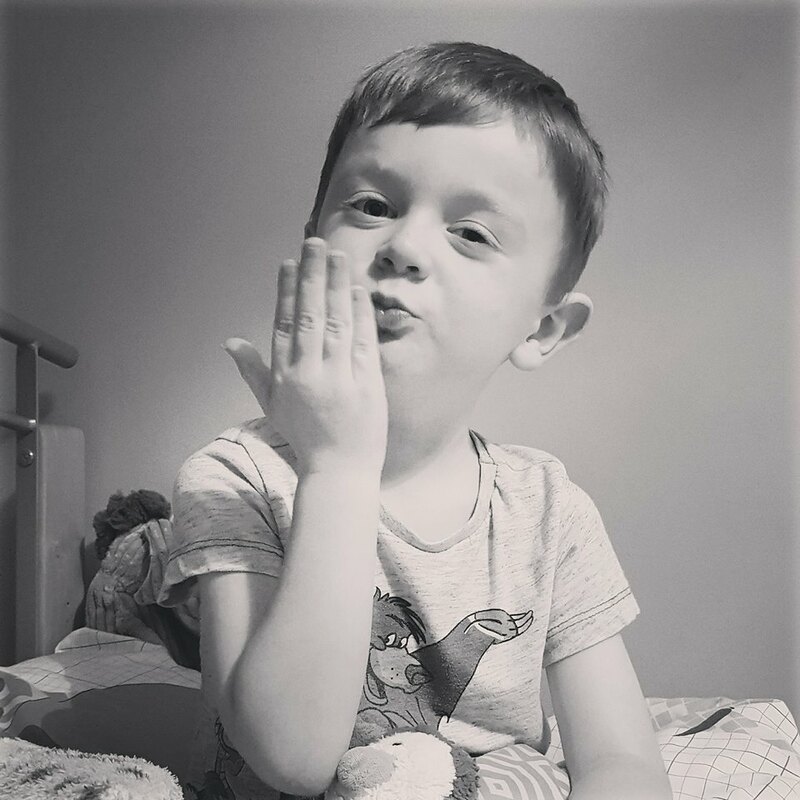 When I was pregnant with George back in 2012 I managed to escape with just a few stretchmarks which weren't so noticeable so I thought I'd get away with it again the second time around, but I was wrong. I got so many more with Freddie and it's really affected my confidence to the point where I think I'll probably never wear a bikini again. 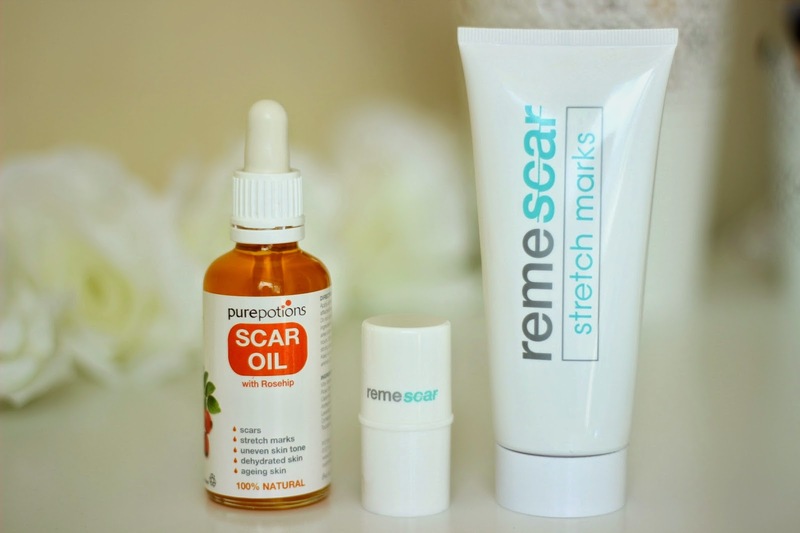 After hearing about my recent birth, the lovely PR team behind Remescar & Pure Potions offered to send me some products to help me in my fight against the dreaded and downright horrible stretchmarks. 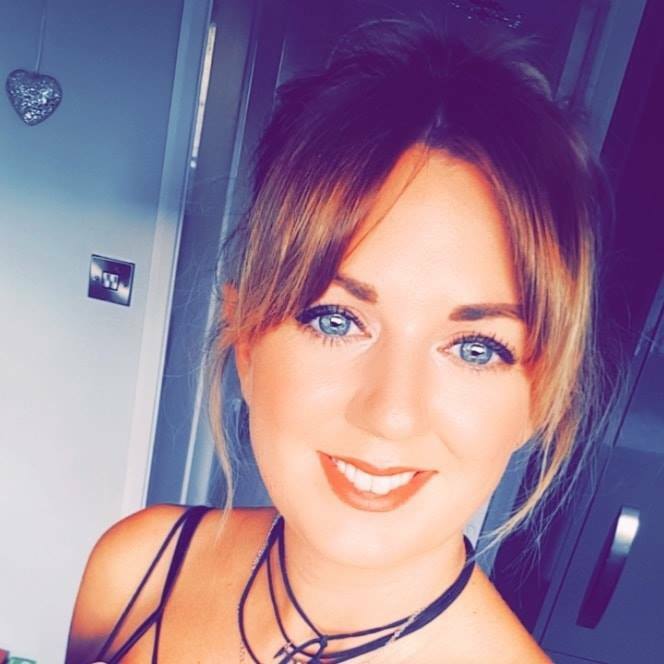 The amount of products out there which claim to help 'reduce the appearance' of scars and stretchmarks has gone through the roof so it's hard to find the ones which actually do work. I tried loads of different oils and creams, including Bio Oil back when I was pregnant and it didn't prevent them, but to be honest I think 'prevention' is damn near impossible to do. If you're gonna get them, you will, and then the hard task is reducing the appearance of them once they're there. I have 3 products in different formulas to show you today, depending on which you prefer. I can't really say if any of them really, truly work as of yet, as I haven't been using them for long enough, simply testing the 3 of them out to see which one I like best. Ooooh I love a good Rosehip Oil. Pure Potions Scar Oil is rich in Vitamin A & C, aswell as essential fatty acids Omega 3 & 6. It aims to reduce the appearance of scars, stretchmarks, dehydrated skin, ageing skin and uneven skin tone. There's also powerful moisturising qualities in the oil, which can help reduce wrinkles, making it great for dry or mature skin. My favourite of the 3 formulas, purely because of the ease of application and how there's absolutely no mess. 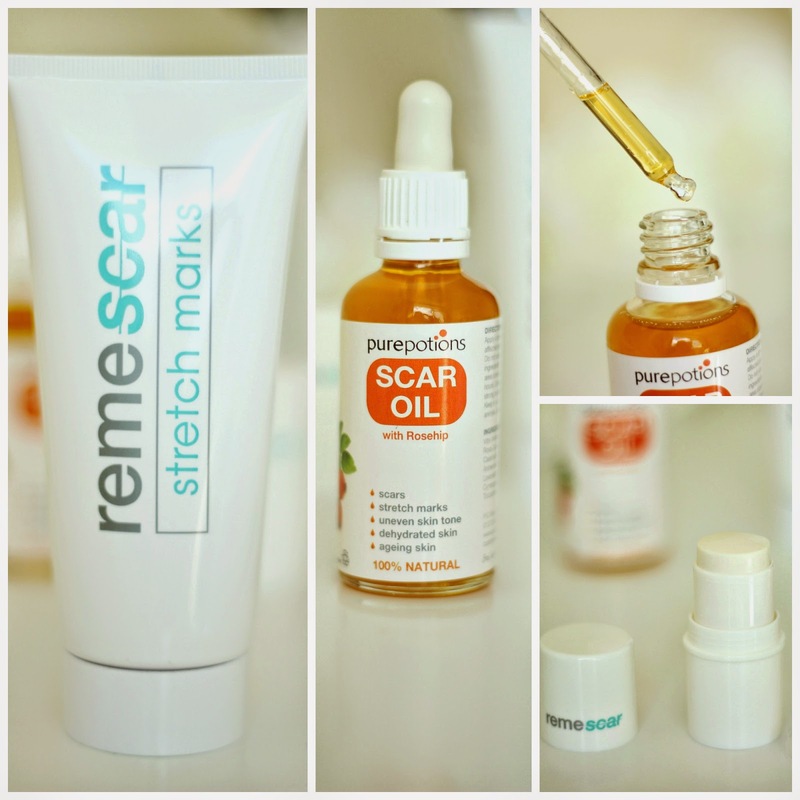 The Silicone Scar Stick from Remescar has been hailed as a revolutionary treatment in the fight against stretchmarks. Housed in a deodorant style twist up stick, it works by covering the scars in an invisible film of silicone. With the areas being protected by the silicone, it gives the skin a chance to heal in it's own 'micro environment', sealing in moisture and stimulating the production of collagen. In clinical trials, users who applied it twice a day said they noticed a 50 per cent reduction in the appearance of their stretch marks in only 28 days. I'm looking forward to giving this a true trial and seeing how I go. For those who prefer a traditional cream, Remescar also do a 100ml cream version of the scar stick. The most expensive of the 3, it's specifically formulated for the treatment of stretchmarks. Aimed for use on the abdomen, thighs and breasts, this cream works the same as the scar stick, by covering the affected areas in a layer of silicone, whilst the moisturising properties get to work to heal the skin. Lots of luck will be interesting to see if any make a difference, I hate the vile things!